Our Warriors Studded Belt is 3 inches wide and features rows of studs going down the length of the belt. This belt is made of sturdy 7/8 oz. leather and is available in black or brown with silver (steel) hardware. 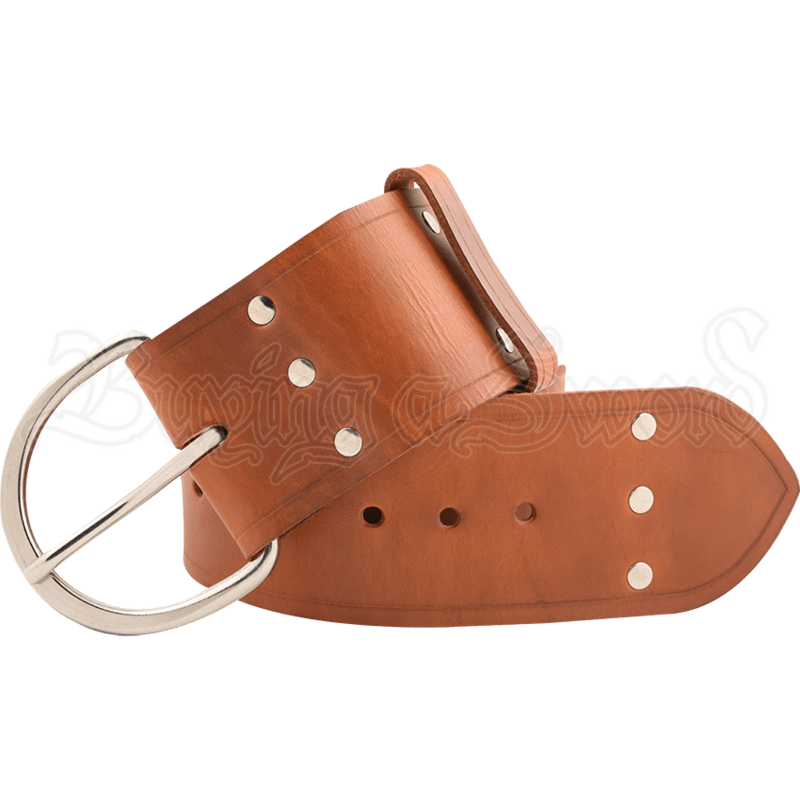 This belt will compliment any medieval or renaissance outfit. The sizes are Small (28-35), Medium (33-40), Large (38-45), and X-Large (43-50).